The user can weld all common types of rod electrodes including CEL in a vertical-down position. 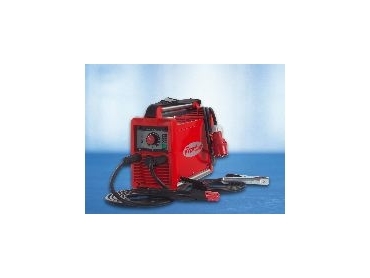 FRONIUS has released the TransPocket 2500 and 3500, systems that are suitable for rod-electrode and dc TIG welding, supplying the welder with up to 250A or 350A of power irrespective of the mains voltage. Even when the mains lead is long, the mains voltage is erratic or the equipment is being powered by a generator, the digital control manages to generate a stable arc. This supports the advanced principle of resonant intelligence. The user can weld all common types of rod electrodes including CEL in a vertical-down position. Synergic mode enables the welder to access the relevant program by entering the electrode type and diameter. All other parameters are supplied automatically by the machine. These tools are well protected to keep out water, are impact-resistant and offer a long service life. They are suitable for use in challenging conditions such as assembly lines and building sites.